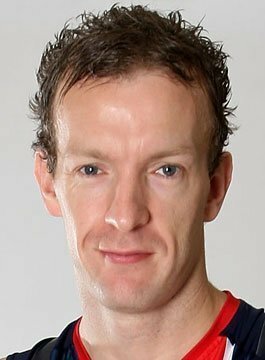 Richard Whitehead MBE is a congenital double amputee Paralympian. As a double leg amputee, life is full of challenges, but that’s never got in Richard’s way. He always dreamt of being able to run a marathon and in January 2004, he set himself the mother of all challenges. Since that first marathon in 2004 Richard Whitehead has run more than a dozen marathons, not to mention competing at the 2006 Winter Paralympic Games in sledge hockey. In 2009, he became the first leg amputee (single or double) to break the three hour mark for a marathon, a world record he has now lowered to 2 hours, 42.54 minutes. By becoming World Champion in the 200m, setting a championship record, in January 2011 at the IPC Athletic World Championships, Richard has cemented his stature as one of the most versatile and outstanding Paralympic athletes in the world, he later went on to break both the 200m and 400m world records in 2011. At the London 2012 Paralympic Games Richard won Gold in the T42 200m. Having successfully defended his T42 200m World and European titles in 2015 and 2016 respectively, the 40 year old went on to win his second Paralympic Gold medal in the event at the Rio Games, defending his title in trademark style with stunning finishing speed. Richard is living proof, that with enough desire and determination, any obstacle can be overcome.